Extra Tall Stool for the Kitchen or Bar - Free Shipping! 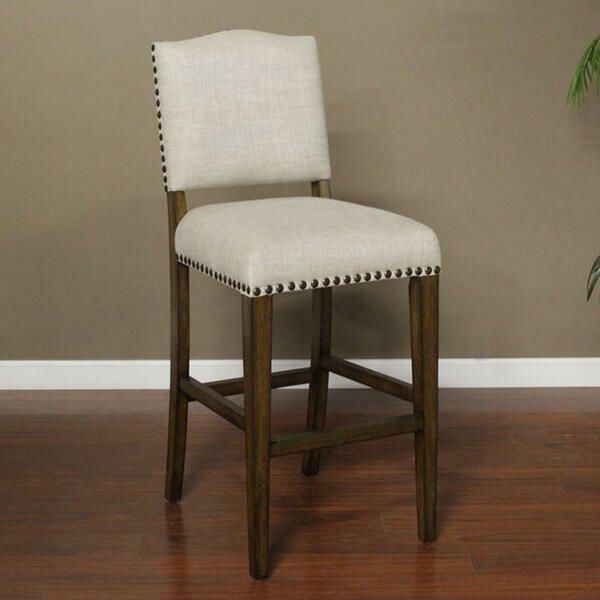 You need a taller than average bar stool and American Heritage has an uncomplicated, sophisticated option. The Worthington Bar Stool by American Heritage is a solid wood stool, with superior mortise and tenon construction and four legged support. It also has a fully-upholstered seat with large decorative nail head trim and a modified camel back. 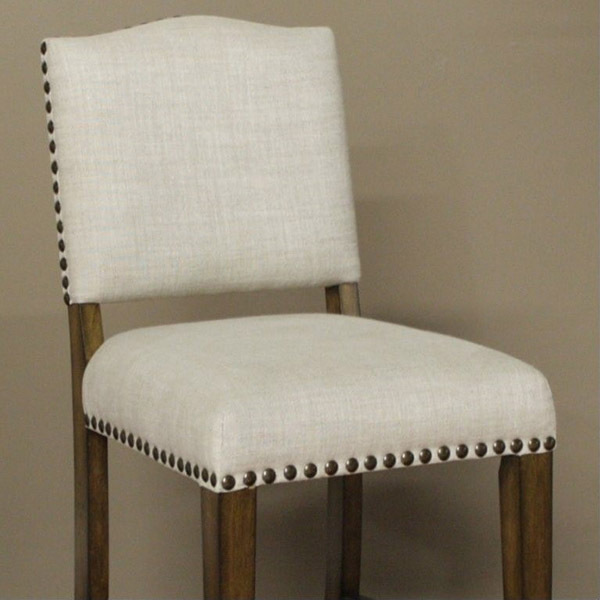 The stylish and comfortable Worthington Extra Tall Bar Stool comes in a fashion-forward color combination; coastal grey with Sahara sand linen upholstery.